Liz Johnson’s The Red Door Inn is a sweet contemporary romance set on Prince Edward Island, former home of LM Montgomery, author of Anne of Green Gables. And believe me, The Red Door Inn takes quite a bit of inspiration from Montgomery’s novels. Marie Carrington, our heroine, comes to Prince Edward Island with hardly more than six dollars in her pocket. Having suffered a violent attack in her home town of Boston, and then discovering a betrayal by her wealthy, real-estate tycoon father regarding this attack, she flees Boston in search of a safe space to resume her life. However, she does not expect to be employed by widower Jack Sloane, and she certainly does not expect to fall in love with Jack’s nephew Seth. It is in these two men, and other members of the town to which she comes, that Marie is able to find healing and a true family. Jack is the father she Marie never knew existed. Only looking out for her well-being, despite his own finances already being strained, he takes her in, gives her a job decorating the inn he and Seth are working so hard to open, and gives her a new understanding of what a father should be. In Seth, she learns to trust men again, though things start off rocky. Seth is mistrusting of beautiful women after having his ex-fiancé clear out his bank accounts and ruin his business. And, for good reason, Marie is untrusting of any man she meets, especially those who are hostile toward her. Luckily, these two injured souls, do manage to work through their issues to bring us to a satisfying ending. When we first meet Marie, she is jumpy, almost behaving is a childish manner, though she is in her late twenties. While this is understandable, considering her recent trauma two months prior to the beginning of the novel, her insecurity, mistrust, and jumpiness are played up a little too much. She wraps her arms tightly around herself far too often (nearly every single page for the first few chapters), making her seem more like a young child who has been orphaned rather than a grown woman with PTSD who willingly left her home in search of safety. However, her memory-induced panic attacks are spot on and not so frequent as to bog down the story and make Marie overly pathetic. Unfortunately, this trauma she suffers from is not fully explained until a third of the way into the novel. Up until this point, vague hints are repeatedly given so that the reader has deduced exactly what happened to poor Marie long before the author reveals it. Liz Johnson would have been far better off telling us up front, right from the first page, what happened to Marie. This would make her excessive self-hugs and generally constantly frightened behavior more understandable, and thus less over-the-top. Also over-the-top is the imagery. While there is a lot of imagery to help paint the scene and characters’ body language, many descriptions are awkward and clunky. Instead of using short yet provoking descriptions with strong verbs and adjectives, the author seems not to know when to stop the description. For example: “Aretha strolled up to them, her smile pulling taut loose bits of skin in nature’s face-lift.” This is a really long, unnecessary way of saying the woman has wrinkles and sagging skin. Another equally odd description is this: “Marie straightened until it looked like she’d left a hanger in her shirt.” Unless Marie has some abnormally bony and wide shoulder blades, I highly doubt she looks like a hanger is inside her clothing. Why not simply say she stood straight, or she squared her shoulders? Am I being too critical? Perhaps, but as a writer, I am apt to hone in on small details like these. Getting back to details you do not discover until later, it does not become evident until half way through the book that The Red Door Inn is a Christian romance. This comes as quite a surprise because there is no mention of God, Jesus, faith, church, or anything else Christian for about a third of the book. When it is mentioned that Jack and Seth attend church and want Marie to go with them, it is not entirely clear then, either. It is not until half way through, when Marie is grappling with thoughts about who her Heavenly Father is and struggling with her faith that the Christian connection becomes obvious. 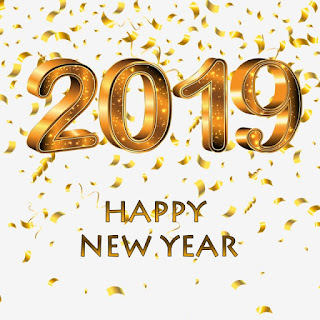 The development of this part of the plot is done well, though, and serves as a way for Marie to process her old life and new life, and her involvement in this small Christian community serves as a catalyst for her healing and change. Another thing this novel has going for it is the steamy kiss and almost-kiss scenes. Though few, the sexual tension in these scenes is undeniable and leaves you hanging on every word of the page, waiting for that moment when Marie and Seth’s lips will meet, despite their trepidations. 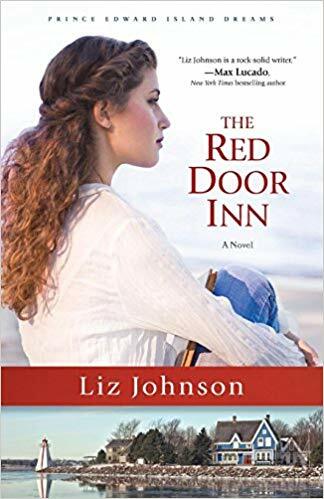 Overall, The Red Door Inn is a heart-warming tale of love, healing, restoring faith in humanity and God, and overcoming trauma. Though at times dealing with heavy subjects, it’s treatment of them is not over-bearing or preachy, as so many Christian novels have a tendency to be. If you want to read The Red Door Inn, you can find a copy at Amazon. 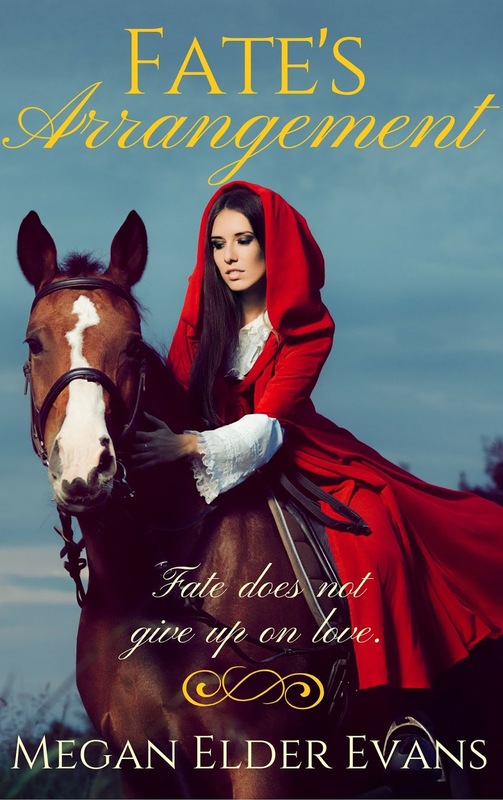 If you want a different sort of clean romance, perhaps an historical one fit for a secular audience, check out my novel Fate’s Arrangement, available at Amazon.com, Barnes&Noble.com, Kobo.com, and Apple Books.